There is a lot of tie-dye around at the moment - at first i wasn't sure, i think because it reminds me of my (not so cool) teenage style. But now i'm kind of in to it again, its got a cool-hippy-rock thing to it that no other print has. If you are feeling crafty then you could try doing it yourself or you could give bleach tie-dye a go which looks a bit less messy. Alternatively you could get one of these dresses pre-dyed from the shops - no mess at all man. Peace out. 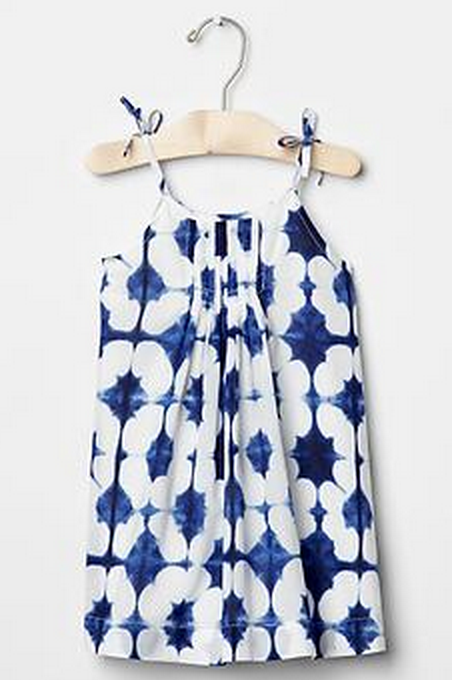 Tie-dye is not just for grown ups.